Princess & the Paper presented by A Jillian Vance Design: Welcome to the last Thankful Thursday of September with A Jillian Vance Design. 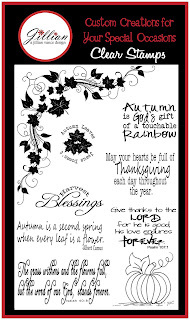 Welcome to the last Thankful Thursday of September with A Jillian Vance Design. 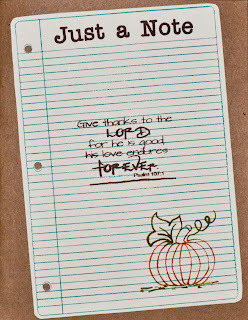 Denise ~ used the Notebook background stamp found HERE and the Autumn Leaves Stamp Set found HERE. What a darling card!!! For more detail please visit my blog. Bunny ~ used the Autumn Leaves Stamp set found HERE and an SVG design from SVG Attic! See her blog for more details. Bunny Runs with Scissors. Bunny at Bunny Runs with Scissors and Jillian the Princess and the Paper. Bunny and Jillian did this project together! The apples and basket it cut with SVG Attic's Fall Harvest Favor Boxes found HERE. We cut the tag from Preserves Cricut Cartridge. then used the McGill Vintage Punch for the layer on the tag. We then stamped it with Harvest Blessings from Autumn Leaves stamp set found HERE. Topped it off the Divine Twine bows! Autumn stamp from A Jillian Vance Design. Then link your project to celebrate Thankful Thursday!